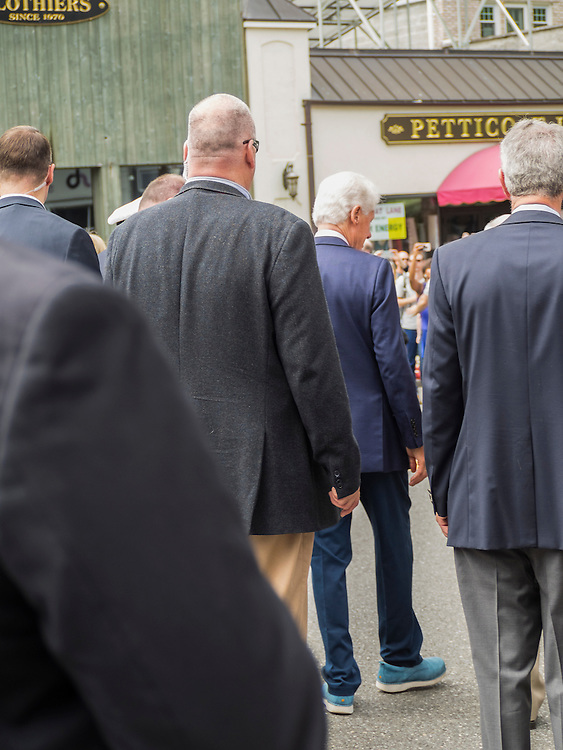 Chappaqua New York, USA 30 May 2016: President Bill Clinton wears teal blue sneakers with his suit as he marches in the annual Memorial Day Parade in his hometown. © 2016 Marianne A. Campolongo. Memorial Day Parade, Chappaqua New York, May 30, 2016. © 2016 Marianne A. Campolongo.